There always comes a time when you need to jump in to a track or mix and do some editing. Maybe you want to remove a problematic section of a song that you like to play live. More likely, you've recorded a mix and need to trim it down and clean it up a little. 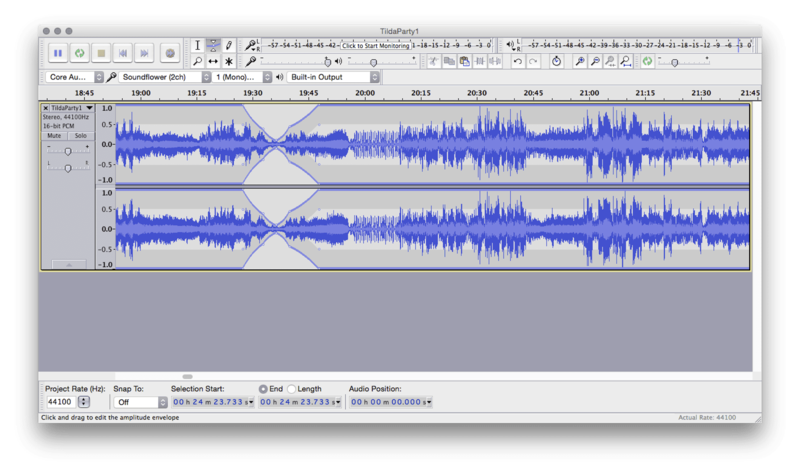 Whatever the situation, it's really easy to do with a free, modern audio editor. There's one audio editor that rules above the rest - Audacity, it's free, powerful and easy to use. 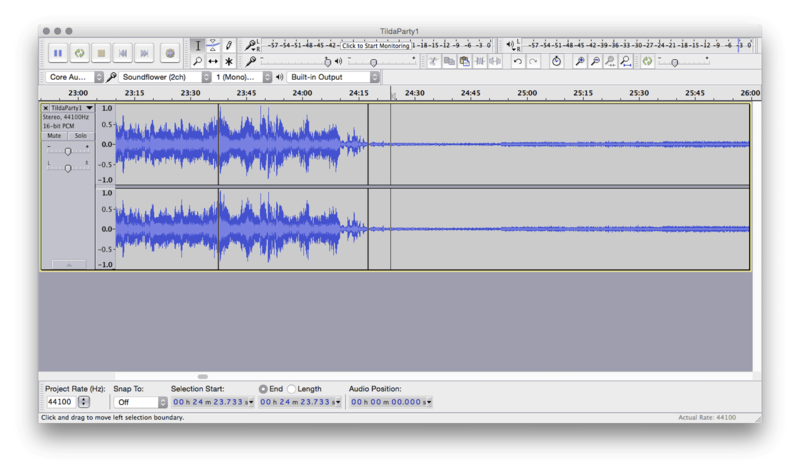 In this tutorial, I'm going to walk you through step by step how to perform basic audio editing in Audacity. By the end you will be able to edit your mixes like a pro, you'll know how to remove any unwanted gaps, how to create consistent volume between your tracks and even how to fix a mistake in a mix. The first step is to download and install Audacity from here. I'm not going to walk you though that.... I'm sure you can figure it out yourself. 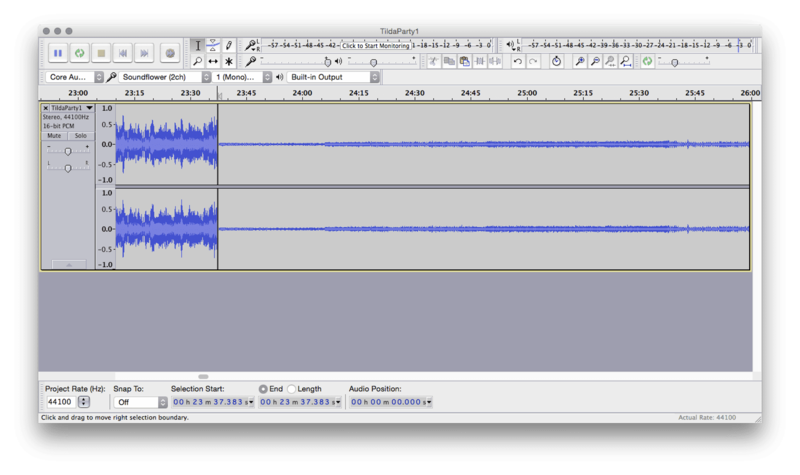 The easiest way is to drag and drop your audio in to Audacity. Alternatively, you can go File > New, and then File > Import > Audio (or just hit Ctrl+Shift+I). Either way, Audacity will automatically create a new track for you (which is shown on the left). Now you can see the stereo waveform of your mix. Lovely! This is probably what you will spend most of your time doing when editing your mixes. There are usually gaps, long silences or sections that you would like to remove. You can do this in 3 simple steps. Highlight the audio that you would like to remove. Hit Ctrl+I to split create a new section out of your highlighted selection. Delete the section using back space! It's that easy. The audio will automatically shuffle forwards to fill the gap. Another way to do this is to select a single point in the track and press Ctrl+I. This creates a new split point. You can then create your second split point in the same way. Then, select your new section by double clicking between the two points and delete it. 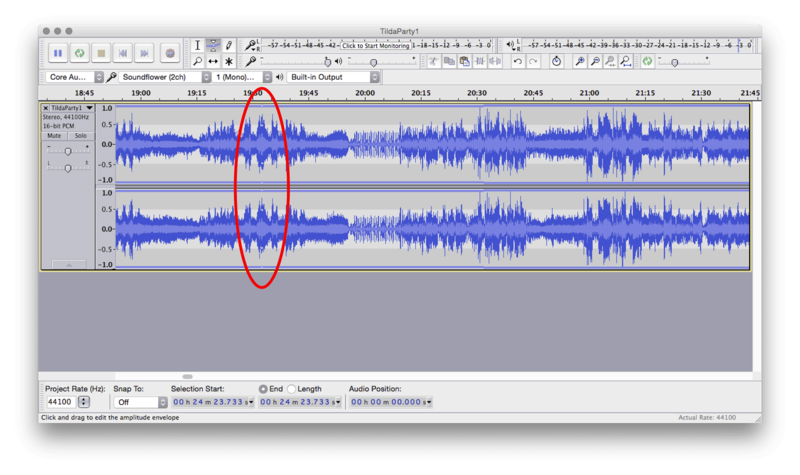 Using these two methods you can easily remove gaps at the beginning and end of your mix, or even remove entire sections. 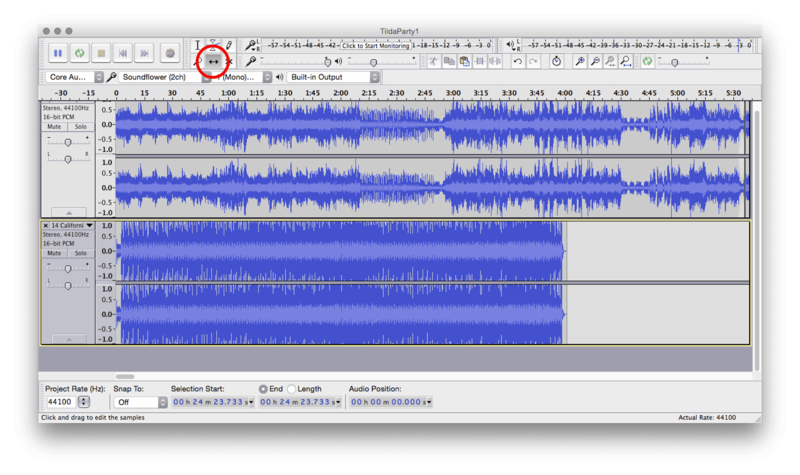 Here's another common situation: one of the songs in your mix is WAY louder than the rest. The auto gain failed you, or you were too deep in the mix to worry about gain matching. Using the Envelope Tool we can easily adjust the volume of entire sections of your mix. First, select the Envelope Tool. Then click anywhere on your waveform to create a new 'anchor point'. This anchor point can be moved up and down by clicking and holding it. This in turn adjusts the volume at that exact point. We can use several anchor points to create fade ins, fade outs, or even instant volume changes. This is an extremely useful tool. Going through and manually adjusting the level of each track can give that professional consistency that you need. This is also a great way to add silences to your mix. If you can remember, deleting a section shuffles all of the following audio forward. This of course means no gaps, BUT if you want to create a silent gap you can do so with the envelope tool. You recorded your live set, but messed up ONE transition (doh!). There's no need to throw away the whole mix just because of one mistake! 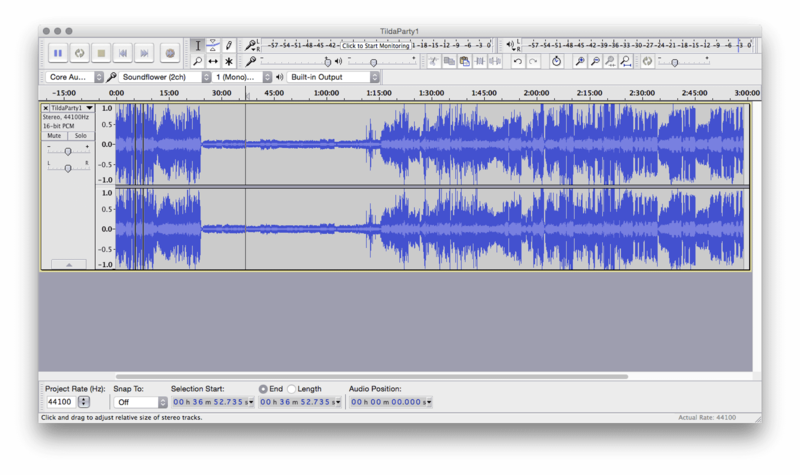 Using Audacity, you can manually mix two songs together by putting them on separate tracks and creating a manual cross fade. First, we need to add a new track and import our new audio. Do this in exactly the same way as before (by dragging it in to Audacity or by hitting Ctrl+Shift+I). Next, select the Time Shift Tool. Then move your new audio in to place (where you want the new track to come in). Now trim back your initial track using the Split and Delete operations. Finally, use the Envelope tool to add a fade-out to your original track and a fade-in to your new track. There you go! A manual mix. 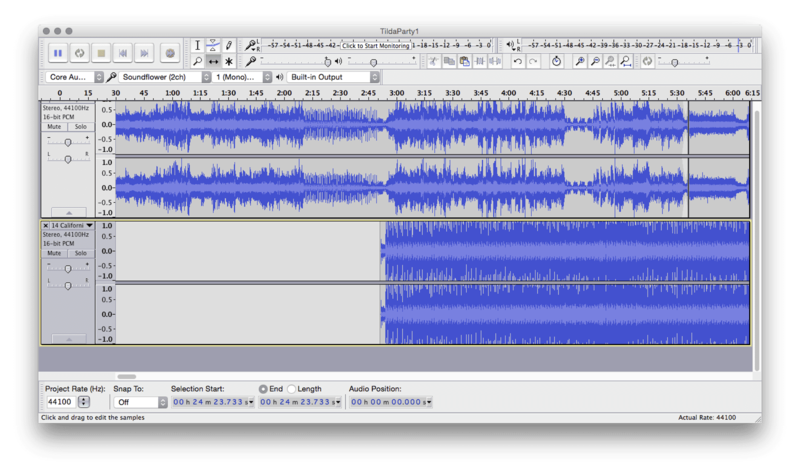 You will probably need to tweak the time position and volume fades of both tracks to get it sounding natural. It may seem like cheating, but it's perfectly acceptable. You'd be surprised by how many professional mixes are recorded live and then edited. You might be thinking "but now this new track ends and my mix is finished". Well, you can use the exact same technique to fade back in to a later point in your original mix. Or, when you Split your track a few steps back to add the fade out, you could just move it back with the Time Shift Tool instead of deleting it. That way it's easy to manually fade back in to your original mix. There are of course lots of other ways to process your mix before sharing it. 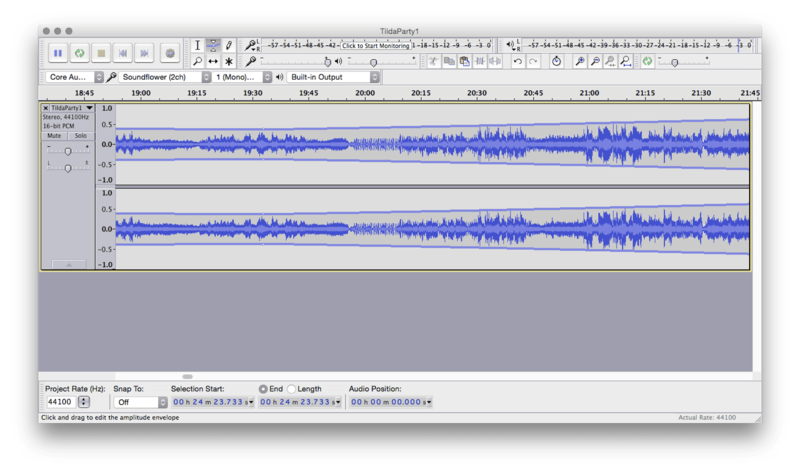 After editing, you could apply some compression or equalization to your mix to make it more personal. More on that another time though, for now, give editing a go! Open up a mix that's imperfect and use Audacity to clean it up and give it some professional sheen. 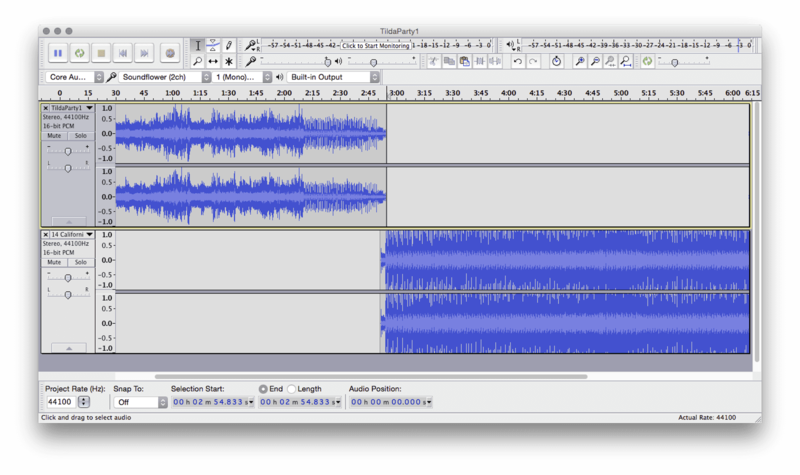 Want to learn more about editing, mixing and mastering? Perhaps you produce your own music too and want to learn more about recording at home? Head over to Home Studio Center and sign up for free tutorials, guides and courses. I want to help you become a home recording master!